As the popularity of Liga MX and the Premier League continue to grow in the United States based on the way both leagues monopolize the most-watched games on US TV each week, MLS is getting left behind. At World Soccer Talk, we analyzed all of the TV ratings data for 2018 to see how the three most popular soccer leagues performed. 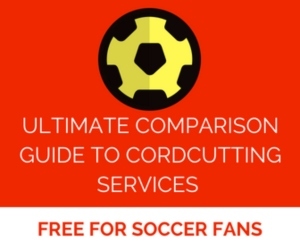 We went ahead and made it a direct comparison by only including the TV viewing numbers for the length of the MLS season to see how they did head-to-head. 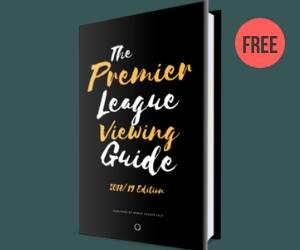 The numbers for the Premier League would be greater during the course of the entire season, but the above metrics are based on viewing numbers during the same timeframe as the 2018 MLS season (the Premier League runs from August to May). By limiting the number of games that are televised nationally each year, the TV metrics for Major League Soccer look better than what they would be otherwise. Increasing the number of games on national television would have an adverse result for MLS where viewing numbers overall would be dragged down by showing less popular games. At the same time, you only have to look at the total TV audience delivery at the very beginning of this article to see how Liga MX and the Premier League reach more viewers on a regular basis while retaining a decent viewing average per game. The challenge that MLS faces when the current TV deal expires in 2022 is how they’ll be able to increase the revenue from the last deal. TV ratings on ESPN and FS1 were down last year compared to 2017. And TV ratings for the first three game weeks of the 2019 season were down 27%. At the same time, MLS has expanded the league into several new TV markets, but the league has still not been able to convert that growth into impressive TV ratings. Major League Soccer needs to increase its reach into more homes, but the demand for the league on TV is not there yet. MLS still remains the third most popular soccer league in its own country. So while the popularity of soccer on television is growing in the United States, Liga MX and the Premier League are profiting the most while Major League Soccer’s growth is relatively static. I realize this is accurate and I by no means really care about MLS….but come on. You act like soccer TV ratings in this country are impressive at all compared to any other sport. Did your wife cheat on you with an MLS exec or something? Liga MX and EPL are only available here through national TV, while MLS’s national TV appearances are a drop in the bucket compared to the amount of matches shown over local TV. Much like other sports here other than the NFL, there is most likely more appetite from fans for their local team vs out of market teams. Not saying the local TV ratings for MLS would close the gap with EPL or Liga MX by any stretch of the imagination, but using national TV only isn’t a true apples to apples comparison for overall viewership. You should consider ota tv. I’m not counting Spanish TV since I’m in an area without it. About 20 games premiere league. 3 or 4 tops for MLS. Does it really matter that the viewership for national television went down? I imagine it’s easier for most fans to stream their favorite MLS team since only a few games are shown on TV. I usually stream my team or others with my phone or laptop. Are there numbers including people who watch through the ESPN+ app?? That how I watch MLS but you cant help but think if this league went single table, they could have had some of the best championship races for the last few years and could have built and promoted the league on its competitiveness. Add a league cup for just MLS teams, invest in USL and build an infrastructure and move to a promotion relegation system. Thats the only way they will move the needle. The regular season means nothing. The hate of MLS is strong with this one. The thing r/soccer haters don’t understand is that nothing gets good ratings at 7 AM on Saturday morning. The EPL is pulling in good numbers – what else would NBC Sports show that early? Meanwhile, the MLS ratings, in primetime for a larger channel, are terrible. I am a football fan since the 60’s and I really love the game. I’m also not patient with incredibly mediocre football in front of lots of enthusiastic fans. The MLS structure…no promotion or demotion and virtually every team can make the playoffs…poor incentive. Additionally, if we begin using a majority of MLS based players for our national team we are in serious trouble. If the majority of the players are European based, where they pick up skills from the world’s best players, then there is hope for the national team.